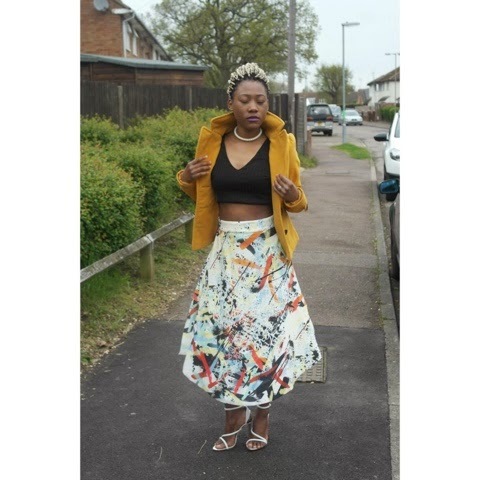 Love this zara multicoloured knee length skirt. As soon as I saw the skirt I fell in love with the stree vibe colours, I had to get it. The skirt is meant to be worn with the long side being on the side hip, but I moved it to the front. The skirt is knee length but because I'm petite it is longer. I styled the skirt with a black crop top and heels to show off the skirt and so that I would not look shorter. I topped it up with a yellow jacket. I love to play with colours. 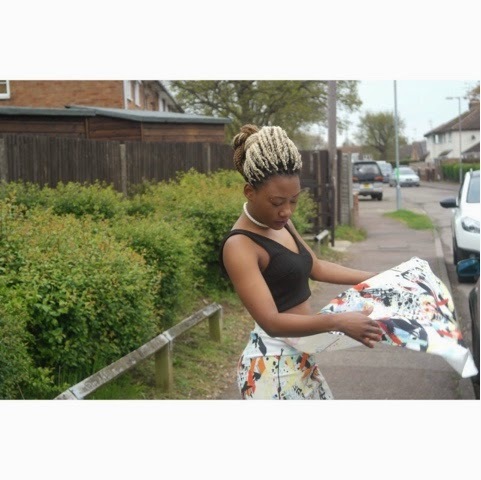 I will definitely be styling this skirt again.